Painting in Mudbox has been really fun. It’s very interesting the types of effects and textures that you can get with varying layers. 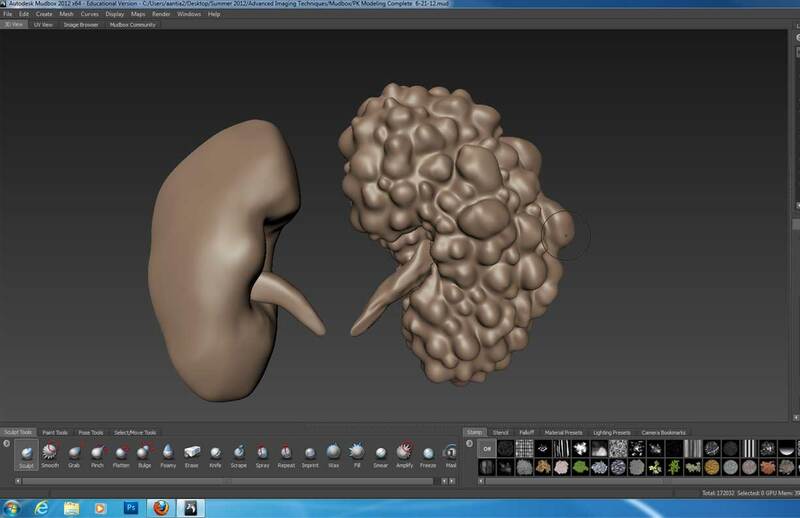 So below is the completion of the modeling of my normal right kidney and my polycystic left kidney, and the beginning of my painting. 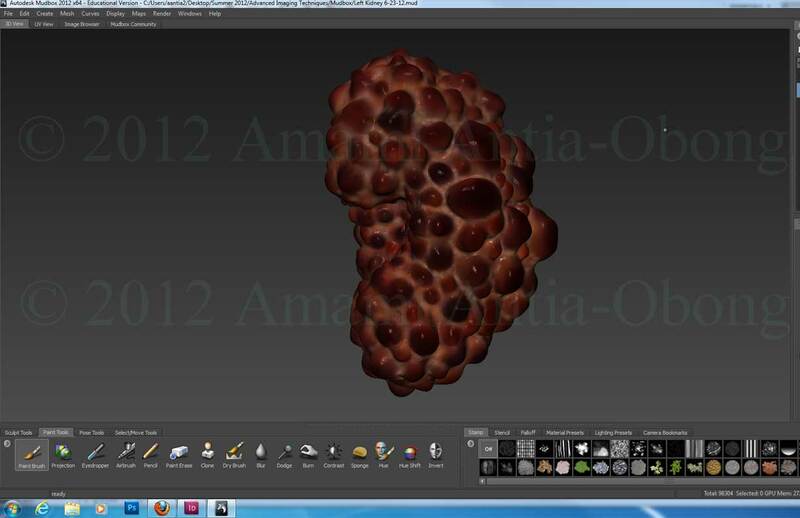 The polycystic kidney has proven to be the most fun both modeling and painting. I have really enjoyed creating the effects that I have so far by using many different layers. I really like how my cysts have turned out. So now I have some nit-picky things that I would still like to do on my kidney’s, but I really do like how they have turned out so far. As always, your spirit of excellence give inspiration to all. When considering the time which you are spending, it encourages my person to press as a warrior (Excellence). That is, of mind consciousness an control, because anything that we do in this mind will always in some wise show up in our worlds…. Your efforts your patients, design and creative being will carry you further into excellence…. Humble, honor an humor. P.S. Thk u always / Continue in your craft and live Now even the more.. 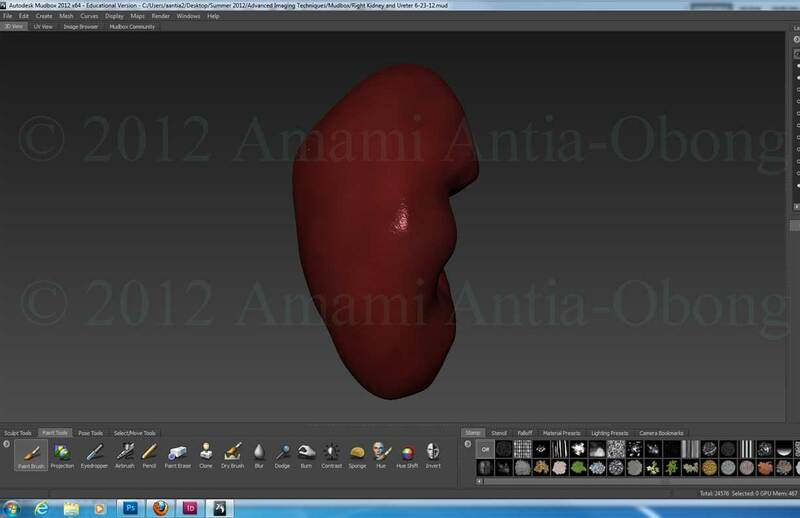 Yes, Amami, a very cool polycystic kidney!